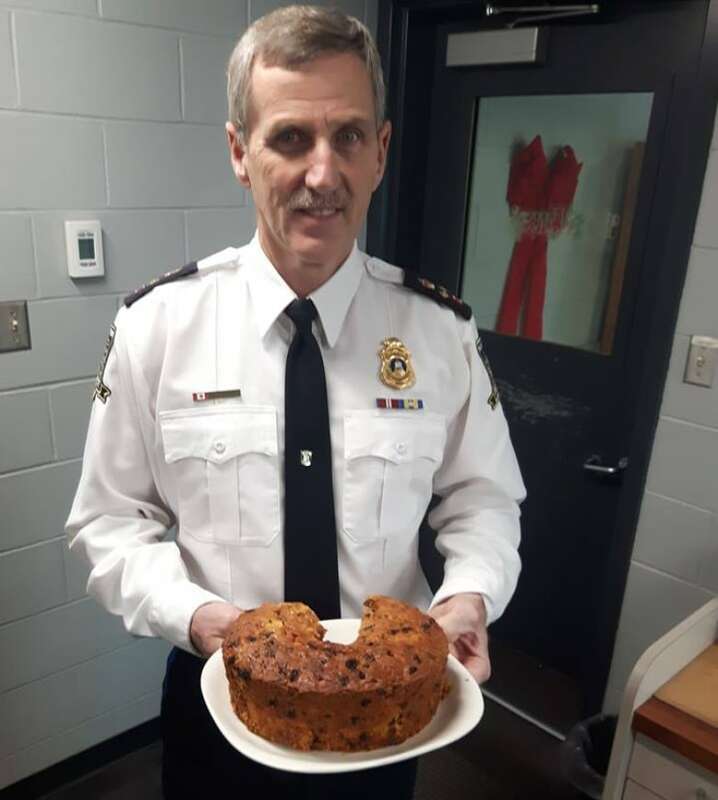 Police officers in Summerside, P.E.I., are savouring a special fruitcake that was dropped off this week. For the last 34 years, Ruth Waite has been baking the fruitcakes for the officers as a way to say thanks. But this cake was her last — she's turning 92 next week, and moving to a nursing home. "I'm in a wheelchair, have been for two years and lately if I try to stand I fall, one knee gives out," she said. "So I guess it's time, and I'm driving my family crazy worrying about me." Waite said she starting baking the fruitcakes to show her appreciation to the officers who would check in on her home when she was away. It was also her way of thanking officers Sinclair Walker and Joe Peters who, during a search of a residence more than 30 years ago, recovered a stereo stand stolen from Waite's car while she was visiting her elderly mother at the Prince County Hospital. "I thought I owed them something," Waite said. Walker, now the deputy chief, said every Christmas the officers would look forward to the cakes — not just because they were delicious. "We used to say, 'Oh God, when's Ruth bringing in her cake?'" Walker said. "In policing, sometimes we don't receive the appreciation sometimes we should. To receive this cake from her, it meant so much to us. It meant so much to me personally."